The Nexus 6P is now official, grabbing the phablet banner straight from the hands of last year's Nexus 6. Still, does the new top phablet in vanilla Androidland boast enough improvements and new features to make an upgrade worth it? Do the new design and improved specs sheet mean that Nexus 6 should run wild to the Google Store and order Huawei's first crack at making a Nexus smartphone as fast as they possibly can? We will try to answer these questions for you in the paragraphs right below. The two devices come with vastly different exterior looks. 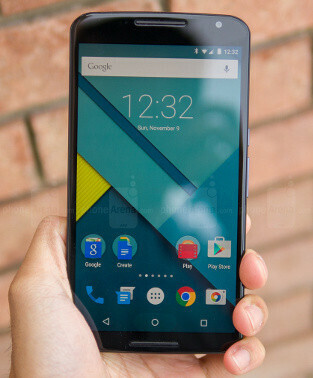 The Nexus 6 employs an arched plastic casing at the back and a metal frame on the sides. 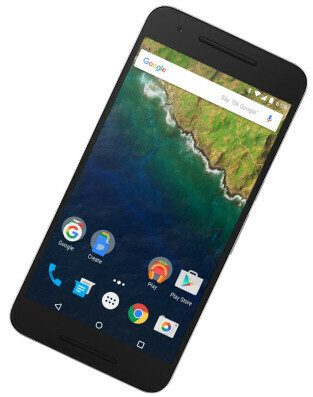 In the meantime, the Nexus 6P employs a svelte all-metal exterior that features aircraft-grade aluminum. Favoring one over the other judging by the exterior design will be mostly a matter of one's personal preference. Personally, we feel like that the Nexus 6P might have a more premium feel than its predecessor. If design and design alone is of utmost importance to you, then the Nexus 6P could easily score a point over its predecessor. In terms of size, the Nexus 6P is a smidgen taller than the Nexus 6, yet not as wide and a bit thinner. However, the Nexus 6P has worse screen-to-body ratio - 71.77% vs 74.03%. This means that the older Android champ is more efficient in terms of utilizing that front real estate. Additionally, both are not that much different in terms of weight. In this category, we feel like the two are pretty much tied. Additionally, the Nexus 6P comes with a USB Type-C connector at the bottom. A suitable cable is supplied in the box. Bottom line: Тhe aluminum Nexus 6P comes with arguably better design than the Nexus 6; it's also narrower, thinner, and lighter. Also - USB Type-C aboard. The Nexus 6P has a 5.7-inch AMOLED display with a resolution of 1440 x 2560 pixels, while the Nexus 6 is equipped with a 6-inch screen boasting the same resolution, which is also of the AMOLED kind. Of course, this means that the new Nexus has a sharper display than its predecessor (518ppi vs 493ppi), which is a differentiating feature that might not be easily discernible by the untrained, naked eye, but still deserves a mention. Both displays are protected by Gorilla Glass, but the Nexus 6P boasts Gorilla Glass 4, while the Nexus 6 - Gorilla Glass 3. That said, if the screen estate is important to you, you will probably be reluctant to switch to the 6P. This category is a pretty tricky one. Google decided that Qualcomm's top-tier Snapdragon 810 v2.1 should make the cut inside the Nexus 6P. By this time, you're probably familiar with all the fuzz around this chipset, which has been plagued by a host of overheating issues, but we digress. The 64-bit octa-core chip on the Nexus 6P is clocked at 2.0GHz and has an Adreno 430 GPU on board. Being the revised v2.1 version, the chipset inside should theoretically be putting the kibosh on all overheating issues, but we can't say whether this is true or not just yet. The Nexus 6, on the other hand, comes forth with a Snapdragon 805, which is not the creme de la creme anymore, but is still a potent chipset that performs well if you don't push it just too hard. The one in the Nexus 6 is a quad-core one clocked at 2.7GHz. What's our verdict in this category? All things considered, we are inclined to go for the Snapdragon 810 due to the future-proof haze flowing around it. There's a 3,450mAh battery unit inside the Nexus 6P, which is bigger than the 3,220mAh one at the rear of the Nexus 6. Is this a reason for upgrading? Well, most probably yes, but we will need to put the new entrant through our battery benchmark test in order to see how it stacks up against its predecessor. As a refresher, the Nexus 6 endured for 7 hours and 53 minutes in our battery life test, which is a solid achievement. This result keeps our hopes for the Nexux 6P high. Yet, do have in mind that the Nexus 6P doesn't come with wireless charging on board, while the Nexus 6 does. Let us throw some raw specs at you: the Nexus 6P comes with a 12.3MP camera at the back that is most likely toting a 1/2.3" Sony IMX377 sensor that has f/2.0 lens and 1.55-micron pixels that . Interestingly enough, it seems that this sensor is intended for compact point-and-shoot cameras. It shoots 4K videos and 240fps slo-mo videos, which are pretty compelling functionalities that heavily tip the scales in favor of the device. The camera also comes with laser-assisted auto-focus. All things considered, we have pretty high expectations for the shooter on the Nexus 6P. The Nexus 6, which comes with a 13MP camera that has an aperture of f/2.0, performed very good, but it seems that the Nexus 6P will give it a pretty serious run for the money. It's also important to note that the Nexus 6 comes with optical image stabilization, whereas the Nexus 6P doesn't, so have that in mind. At the front, the situation is rather different - the Nexus 6P has an 8MP selfie shooter, while the older Nexus phablet merely a 2MP one. Naturally, this warrants more detailed selfies. In case you are a selfie addict, this is a pretty solid reason for upgrade. Although we can't give a clear verdict whether you should upgrade if you're looking for a Nexus phone with a better camera, it seems that the Nexus 6P might end up pleasantly surprising us. Тhe Nexus 6P has a killer feature that the Nexus 6 is devoid of - a fingerprint scanner at the rear that is always in standby mode. Thanks to it, you can unlock and wake your phone by simply placing your finger on the scanner, without having to press the power button or do anything else. Of course, this is not the sole purpose of the reader - it's also going to open the gates before Android Pay, Google's mobile payment system. The final verdict: should you upgrade? As usual, it largely depends. If the looks of the Nexus 6P, its slimmer aluminum design, improved front and rear cameras, fingerprint scanner, and larger battery are successfully grabbing your attention, then you should probably consider upgrading from your Nexus 6. Still, the latter is a rather adequate device even in this day and age - hence, it's perfectly normal to not feel any need to upgrade just yet. Yet, we feel like the Nexus 6P has enough compelling new features to successfully succeed the Nexus 6. If you feel the same way, prices start from $499 for the 32GB version, while the 64 and 128GB version will cost you $549 and $649, respectively. if I were a "nexus boy" I'd upgrade. .6p has significant and major upgrade from 6..and 128gb price worthy. ."nexus killer"
Reasons I'm upgrading: 1: Better screen (should atleast be the same as Note 4) 2: Longer battery life (smaller more efficient screen plus larger capacity battery) 3: Fingerprint security (mostly only care for Android Pay) 4: Better camera (faster focusing, low-light performance, slow motion 240 fps) 5: 128GB option And all I lose is wireless charging, not a bad deal. You also loose the hands free "OK Google" voice assistant. Sony has managed to chill it on the Z5 family, maybe the Huawei has done the same. I heard from the ballads of Straight Sony that they added dual pipes to cool the chipset. Thus why in some cases like 4k video recording it doesn't shut off. Ok , even it does not shut down during 4K video recording ( though even that is to be tested in a consumer unit) does not necessarily mean that it does not get uncomfortably hot in such heavy usage scenarios. This heating will reduce the life of phone components in long term , such as the display an the battery. I really do hope Sony has managed to keep it cool an the "dual pipe" is enough to keep the heat in check and I would be the first to clap if they did.....but have they ? Did they ever mention what the P stands for or the X for the 5 model? If it did not have that hump at the top I would consider the 6p. But it looks like I will wait for the Sony Z5 Premium or Ultra. Wait for the Premium to get the 4K screen and Snapdragon 820... not because of the "hump". I found my Nexus 6 to be almost as good as my BlackBerry Passport in signal reception. Many reviews do not even seem to test reception these days. But this will be critical in my choice to switch. Taller than the Nexus 6 yet with a smaller display??!! This excessive size is a deal breaker for me, I prefer large displays with minimal bezels top, bottom and sides. Must have been a Google design decision because the Huawei Ascend Mate 7 has an ideal screen to body ratio with very minimal bezels all around, so we know that Huawei can make phones with great screen to body ratios. Too bad. I was actually looking at the Mate 8plus 6.8" screen... REALLY big, but my eye's like the extra screen and i don't care if iPhone hipsters judge it unstylish. I wish Huawei had used a 2K screen instead of a 1080p. It would be great to see the 9plus with a large 4K screen, now that Sony has "broken" the 4K barrier. Not upgrading. But I would of had the screen size increased instead of decreased. 5.7" is on the high side of "mainstream" these days, and if you're releasing a Grande and Venti device at the same time you should have the Venti one actually BE big. It would have been nice to have a 6.2" zero bezel option, and a 5.5" mainstream option. Holding back on size and incorrectly surmising that people LIKE smaller screens because they're buying iPhones with smaller screens is foolish. New Flash: people buying Apple products are doing it for the Appliness, not to get away from our oppressively easy to read and type on larger screens. Hopefully they'll get it right next year. But until then, or until I can afford to buy my own phone manufacturer and tell them to use a bigger screen, I'm going to stick with my Nexus 6.